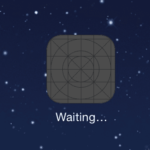 iOS applications may crash (suddenly quit and return to the home screen) under a variety of circumstances. Although the exact cause of these crashes can prove elusive, there are a few simple, effective fixes that can prevent future unexpected quits. Tap and hold an app icon until the icons begin to wiggle, then tap the”x” in the corner of the application you want to delete. Choose “delete” then press the Home button. Redownload the app, either by syncing with your computer or searching and downloading it again from the App Store (you won’t be charged again). Unauthorize then reauthorize. 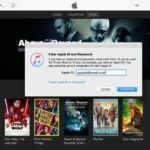 On your computer, open iTunes then go to the “Store” menu and select “Deauthorize This Computer.” After the account is deauthorized, again go to the “Store” menu and this time choose “Authorize This Computer.” Now re-sync your iOS device. The 4 Rs. Failing the above, run through the 4 Rs of iOS troubleshooting: reboot, reset settings, restore, and reseat. Ok so a lot of my apps that run Internet won’t work. When I try to use safari it will pop up but only for a split second and then it will go back to the home screen this is the same with the other apps. I just wanted to know if anyone els had the same problem and if u have a fix. My iPod quits out of all the app I have even the ones Like safari and others, what do I do? I have an iPod 4th gen, and quite a few of my apps crash whenever I press a certain button, probably more than other ppls. It’s only about 1/2 to 3/4 of a year old, I would delete and reinstall my apps, but then I would lose all the data on them. Plz help?!? Dear all: my crashing issues regard email in iPad. When I am almost done writing a Message, iPad crashes and all my Work os lost. How could I uninstall email app? Thks. Donato. my baseball superstars 2011 cust me money and if i delete it i would have to be it all over again its not worth it; is their an other way? My iPod crashes while running the Safari and Facebook apps very frequently. It is over 2 years old but sure it Is not age? I have this app that I LOVE and if you delete it, you will loose everything you have. I worked hard and spent a lot of money for that app and I’m too afraid I’ll loose everything and have to start all over. Now um so frustrated and can’t take it anymore. but i’m scared that when i re install it, it will charge me again..
are you sure that when delete and then re install the app it will not charge? Get I cloud and click update hen you will see a purchase button. Click that and you can see all the things that have been deleted then click your app that you want to relode and I won’t cost anything. My problem is, i just updated an app and now it wont work, it worked before i updated it. Can you help? Same with mine. After clicking on the downloadbutton iTunes.app is crashing. My issue is with the itunes app not the ipod app it crashes when doing a search or will not actually display search results it just shows a folder. Any suggestions?